The American economy grew less than expected during the 1st quarter as the biggest gain in consumer spending in more than a year failed to overcome a diminished contribution from business inventories. Gross domestic product rose at a 2.2 percent annual rate after a three percent increase in the 4th quarter of 2011, according to Department of Commerce Department statistics. The median forecast called for a 2.5 percent increase. Household purchases rose 2.9 percent, exceeding the most positive projection. Home building grew at its fastest pace in almost two years. The GDP data confirm the view of Federal Reserve officials who expect “moderate” growth as they repeated that borrowing costs are likely to stay low at least through late 2014. In addition to the improvement in consumer purchases and home building, the economy benefited from a rise in auto production. The GDP was negatively impacted by a drop in government spending and slower growth in business investment. The United States is faring better than some other major economies. The United Kingdom is in the throes of its first double-dip recession since the 1970s. In Japan and Germany, GDP declined in the final three months of 2011, while China’s economy, the world’s second-largest, is also cooling. As disappointing as the 2.2 percent is, the market will have to learn to live with lowered expectations. From a market perspective, lukewarm growth could force Ben Bernanke’s hand to unfreeze lending, keep interest rates at their current lows, or re-use other monetary policy tools to keep money flowing. Ironically, even with the Fed’s relaxed monetary policy, most of the extra cash in the economy remains on corporate balance sheets (Apple has billions on hand) or is going into the securities markets. Official reaction was as expected. “Today’s advance estimate indicates that the economy posted its 11th straight quarter of positive growth, as real GDP (the total amount of goods and services produced in the country) grew at a 2.2 percent annual rate in the first quarter of this year. While the continued expansion of the economy is encouraging, additional growth is needed to replace the jobs lost in the deep recession that began at the end of 2007,” said Alan Krueger, chairman of the White House’s Council of Economic Advisers. 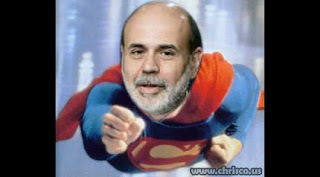 Fed chairman Ben Bernanke called the slow pace of recovery “frustrating. Here we are almost three years from the beginning of the expansion, and the unemployment rate is still over eight percent. It’s been a very long slog. And that, I think, would be the single most concerning thing,” he said. February retail sales climbed the fastest in five months. Even rising gas prices didn’t dampen demand for cars, clothing and other goods. According to the Commerce Department, retail sales rose a seasonally adjusted 1.1 percent to $407.8 billion in February; January retail sales were revised upwards to show a 0.6 percent rise instead of the initially reported 0.4 percent. If you don’t count cars, sales climbed 0.9 percent. Economists queried by MarketWatch had anticipated a 1.2 percent gain for the headline index and a 0.7 percent advance for retail sales, not counting autos. Gourmet-cookware chain Williams-Sonoma Inc., said demand improved at the start of the year following the holiday shopping season. “Post holiday, we saw a progressively stronger retail environment,” said Laura Alber, the company’s chief executive officer, which reported record earnings for 2011. Sales increased 1.6 percent at automobile dealers, reversing the previous month’s decline. The results fell short of what the industry expected. Cars in February sold at the fastest pace in four years, led by Chrysler and a surprise gain from General Motors. Light-vehicle sales accelerated 6.4 percent from January to a 15 million annual rate, the strongest since February 2008, according to Ward’s Automotive Group. Clothing store purchases rose 1.8 percent, the most since November 2010. Furniture and general merchandise stores were the only categories to show a decrease in sales. An improved employment and income picture are giving consumers the confidence to spend more. This is demonstrated by the fact that the Bloomberg Consumer Comfort Index rose to an almost four-year high in the week ended March 4. Employers boosted payrolls more than forecast in February. Dean Maki, chief U.S. economist at Barclays Capital Inc. and a former Fed researcher who specialized in consumer spending, projects Americans will boost purchases at a three percent yearly rate in the 2nd half of the year after a 2.5 percent gain in the first six months. Federal Reserve policymakers are likely to retain their plan to keep interest rates low at least through late 2014. Chairman Ben S. Bernanke said maintaining monetary stimulus is warranted even with employment gains and a lower jobless rate. While there are “some positive developments in the labor market,” Bernanke said, “the pace of expansion has been uneven.” The rise in gas prices “is likely to push up inflation temporarily while reducing consumers’ purchasing power,” he said. “We believe that the consumer is in better shape than recent downbeat commentary from Fed Chairman Bernanke,” said John Ryding and Conrad DeQuadros, analysts with RDQ Economics. Another Commerce Department report showed U.S. companies restocked at a faster rate in January, a sign that businesses expect stronger job growth to fuel more sales. Business stockpiles rose 0.7 percent in January, while sales grew 0.4 percent. For the remainder of 2012, JPMorgan Chase analysts forecast growth of 2.2 percent, an improvement from the 1.7 percent growth seen in 2011. Federal Reserve Chairman Ben Bernanke, in a long-awaited speech in Jackson Hole, WY, announced no new steps the Fed will take to prop up the shaky U.S. economy. Rather, he expressed optimism that the economy will continue to recover, based on its inherent strength and from assistance provided by the central bank. Bernanke restated the Fed’s determination to keep the federal funds rate “exceptionally low” for a minimum of two years. He did not say what many had been hoping to hear: that the Fed would begin another round of quantitative easing – usually referred to as QE3. Bernanke said that he expected inflation to remain at or below two percent. Additionally, he acknowledged that the recent downgrade of the nation’s AAA credit rating had undermined both “household and business confidence.” He implied that there was only so much more the Fed can do to stimulate the economy, and that the time has come for Congress and the Obama administration to create “policies that support robust economic growth in the long term,” to reform the nation’s tax structure and to control spending. As Bernanke delivered his remarks, the government cut its estimated 2nd quarter GDP growth to a paltry rate of one percent, a revision from the 1.3 percent previously reported. The revision was expected and primarily due to weaker exports. In more positive news, private spending and investment in April through June were slightly higher than initially estimated. The GDP grew by an annual rate of just 0.4 percent in the 1st quarter. The 2nd half of 2011 is expected to be somewhat stronger, but a major driver of the economy — consumer spending — remains weak amid slow hiring and sluggish income gains. “Economic performance is clearly subpar, and from that standpoint the case for some sort of further economic-policy assistance is just being made by the poor performance,” said Keith Hembre, chief economist and investment strategist in Minneapolis at Nuveen Asset Management. Although Bernanke said the Fed has stimulus tools left, “the threshold to utilizing them is going to require fairly different conditions than what we have today,” such as lower inflation or a return of financial instability, Hembre said. Home prices revived somewhat during the 2nd quarter, but the housing market is still struggling. Prices climbed an impressive 3.6 percent, compared during the three months ending March 31. Despite the upbeat news, home prices are still down 5.9 percent compared with the 2nd quarter of 2010. The rise in home prices came after three straight quarters of drops, the S&P/Case-Shiller national index — a recognized gauge of residential real-estate markets — reported. The year-over-year decline was slightly more than the than the 4.7 percent drop that had been forecast by a consensus of experts at Briefing.com. A separate monthly index of home prices in 20 major metro areas reported a month-over-month gain of 1.1 percent for June, and a 4.5 percent decline compared with last year. The quarter-over-quarter price increase may be the last one for a while, said Stan Humphries, chief economist for the real estate website Zillow. He expects prices will weaken again. “The August turmoil of credit rating downgrades, negative GDP revisions, stock oscillations and European debt woes are likely to leave a mark on both August home sales and home value appreciation,” according to Humphries. “Monthly home value appreciation in June may mark the last hurrah before beginning to weaken in the back half of this year,” Humphries said. Foreclosures still constituted a higher proportion of sales throughout the winter and spring as families took a break from home shopping; cash-rich investors dominate the market. Nationally, home prices have returned to their 2003 levels. Foreclosures and short sales — when a lender sells for less than what is owed on a mortgage – accounted for approximately 30 percent of all home sales in July, an increase from about 10 percent reported in normal years. Nearly 1.7 million potential foreclosures are being delayed, according to real estate firm CoreLogic, either by backlogged courts or lenders waiting for the conclusion of state and federal investigations into questionable foreclosure practices. Federal Reserve Chairman Ben Bernanke said “an overhang of distressed and foreclosed properties, tight credit conditions for builders and potential homebuyers, and ongoing concerns by both potential borrowers and lenders about continued house price declines” are hurting the housing market. American households’ net worth moved up a bit as the year began, with rising stock prices, increased savings and debt reductions outpacing an ongoing decline in real-estate prices. According to the Federal Reserve, average household wealth in stocks, bonds, homes and other assets — minus mortgages and other debts — rose 1.2 percent to $58.1 trillion during the 1st quarter. The increase is likely to boost the economy, because as peoples’ net worth increases, they tend to become more confident about their financial future and more willing to spend. Noting the recent decline in stock prices, “in general, financial wealth has been increasing, which would tend to increase consumer spending,” said Goldman Sachs economist Andrew Tilton. Even though Americans’ net worth rose to its highest level since the middle of 2008, it remained significantly below the peak of $65.8 trillion in June 2007. Additionally, the upsurge has been driven primarily by stock prices, which benefit people who have invested their money. The significantly larger percentage of Americans who have the majority of their wealth in their homes is still feeling the continuing real-estate slump. The Fed’s quarterly overview of American household, business, bank and government finances showed that companies are accumulating profits rather than spending them. Cash holdings and other liquid assets rose 2.6 percent to $1.91 trillion. At 6.8 percent of total assets, the level of cash reached its highest level in nearly 50 years. Debt levels in budget-crunched state and local governments showed slight declines, but that was outpaced by an increase in federal debt. Government debt rose two percent to $12.1 trillion during the 1st quarter. Meanwhile, the value of real-estate assets continued their decline, falling 1.9 percent to $18.1 trillion. The ongoing decline in housing is hurting consumer spending. During the housing boom of the last 10 years, many homeowners extracted wealth from their houses through mortgage refinancing and home-equity loans, which spurred spending. Now, with many homeowners owing more on their mortgages than their properties are worth, that is no longer occurring. Instead, many consumers are skeptical about the recovery’s strength and are still not spending on home improvements. The 1st quarter of 2011 is not the only time during the Great Recession when household wealth grew. John Ryding, chief economist at RDQ Economics, notes that household net worth grew by $5 trillion between the 1st and 3rd quarters of 2009, after declining sharply earlier in the recession. Additional spending generated by the rebound helped keep the savings rate from climbing to seven or eight percent. Household savings encourage long-term economic vitality, but a rapid upward adjustment makes consumer-spending growth more difficult to achieve in the near term — a phenomenon known as the “paradox of thrift.” If the savings rate remains relatively static or rises slowly, it would remove one of the headwinds to consumer-spending growth in the near future. That would be a bullish sign for the economy, because consumer spending accounts for roughly 70 percent of GDP. Now that QE2 (quantitative easing 2) is winding down – and with the economy sputtering – will Federal Reserve chairman Ben Bernanke call for a new round of stimulus in the form of QE3? The answer likely is “no”, although it’s doubtful that the Fed will tighten monetary policy until the economy is stronger. The central bank’s strategy has been to buy Treasury bonds to increase the money supply and foster growth. The second round of such purchases, worth $600 billion, ends June 30. Philadelphia Fed President Charles Plosser warns that QE2 provides excessive stimulus: The central bank has “a trillion-plus excess reserves,” he noted, which could be “the fuel for inflation.” Anticipated inflation could explain the sudden increase in long-term yields that began last November. But the rate for 10-year Treasury Inflation Protected Securities (TIPS), rose at the same time, which contradicts that interpretation. At the same time, the five-year TIP rate didn’t rise. Had that rate increased, there would have been a sign of a stronger economy in the next five years. The Federal Reserve is identifying risks in the financial system that could someday erupt into a new financial crisis, but regulators must be careful not to unintentionally hamper lending as they set up new oversight, according to Chairman Ben Bernanke. “We want the system to be as strong and resilient as possible,” and more intense oversight and changes such as requiring banks to hold more capital will help, said Bernanke at the Federal Reserve Bank of Chicago’s Bank Structure & Competition conference. “If we can’t arrest risks, we want to make sure the financial system is defending itself,” he said. The Dodd Frank Act establishes governmental structures to analyze risk aimed at preventing another financial failure as harsh as the one that almost brought down the world’s economy in the fall of 2008. Through the Financial Stability Oversight Council and within the Fed, regulators are still analyzing what can cause “systemic risk,” – identified as risk that can cause widespread financial failure, Bernanke said. 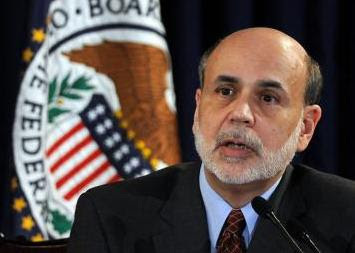 Similar actions are underway in other nations; Bernanke said that regulators worldwide are communicating with each other while implementing their own systems. If the new structures had been in place previously, Bernanke said, the 2008 financial crisis likely would not have happened. The old system of regulation spread authority across too many entities, was poorly coordinated, and problems “fell through the cracks.” As the Federal Reserve develops a structure for analyzing risk, Bernanke said the focus must go beyond “fighting the last war.” Future financial threats may differ from those of the past, which is why the banking industry currently is facing new oversight. When some banks announced plans to pay shareholders dividends, regulators applied “stress tests” to their finances to determine if the institutions would be sound even if the economy weakened. According to Bernanke, the government’s new stress testing system has provided accurate assessments of bank finances. Bernanke and Fed officials are trying to balance the need to diminish the risk of another financial crisis with the aim of stimulating the economy after the worst recession since the Great Depression. The Dodd-Frank Act gives the Fed the job of overseeing the biggest financial companies. “While a great deal has been accomplished since the act was passed less than a year ago, much work remains to better understand sources of systemic risk, to develop improved monitoring tools, and to evaluate and implement policy instruments to reduce macro-prudential risks,” Bernanke said. Lawmakers who solidly opposed the financial overhaul legislation, say Dodd-Frank goes too far and might make it more difficult for American banks to compete globally. Some are working to cut funding for agencies established by the law and limit the scope of new rules. According to the General Accounting Office, the law will cost nearly $1 billion to implement in 2011. To listen to our podcast on financial reform with Anthony Downs of The Brookings Institution, click here.